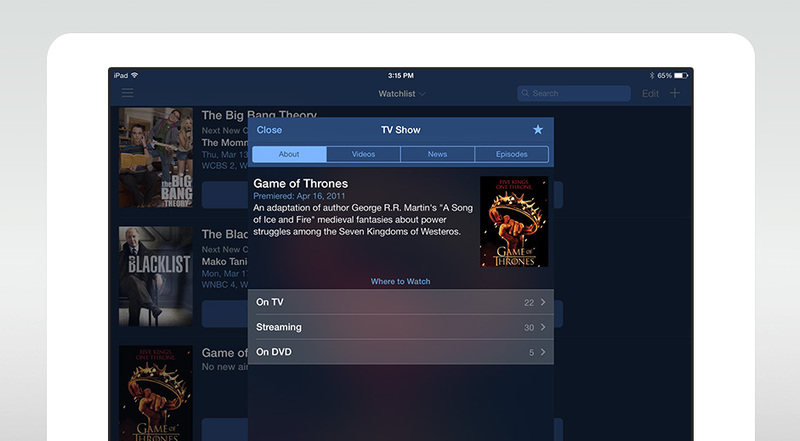 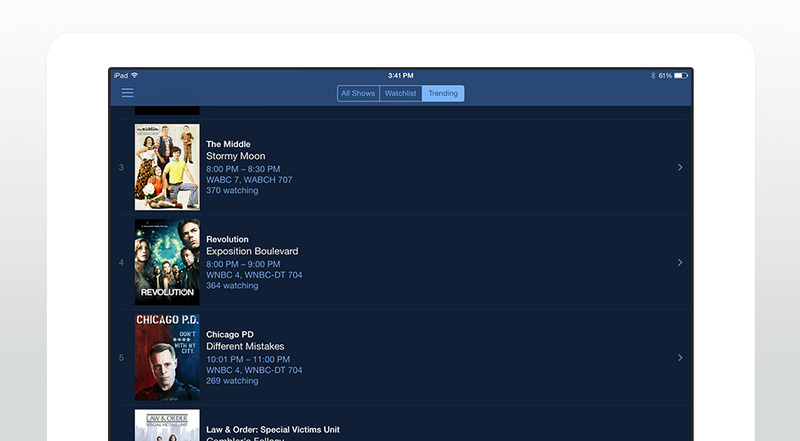 Wireframe and interface design for the iOS TV Guide app. 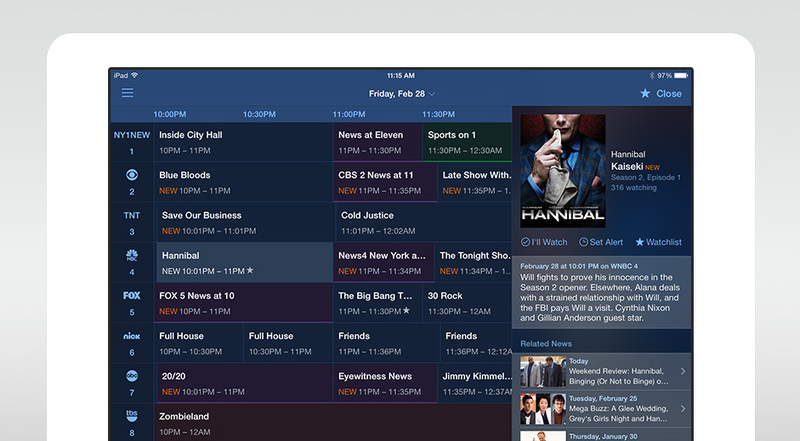 The main components are TV Listings, Watchlist and Tonight Episodes. 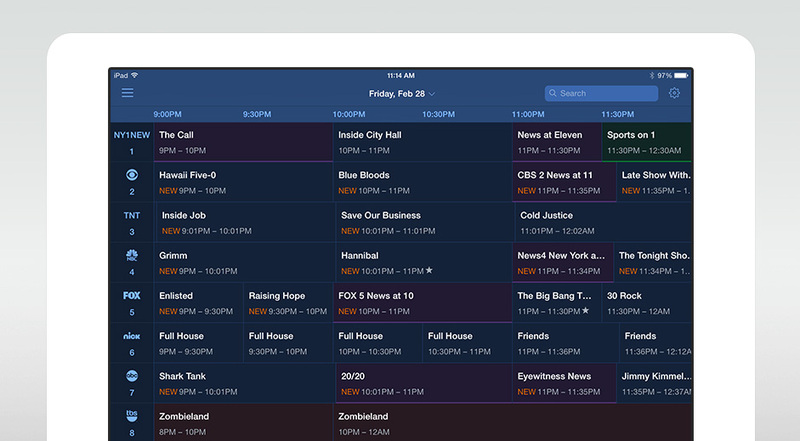 The Listings grid allows for multiple views of TV listings including single channel view, HD channels only, and favorite channels. 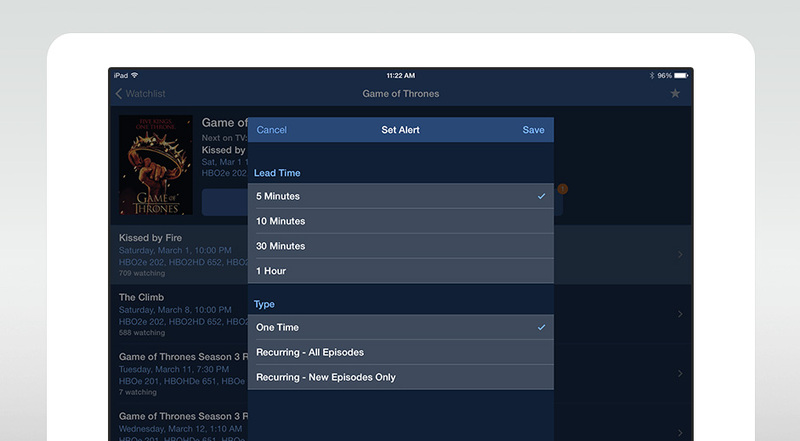 Clicking on a specific show launches a side panel with show detail, and options to set-up alert and add the show the Watchlist. 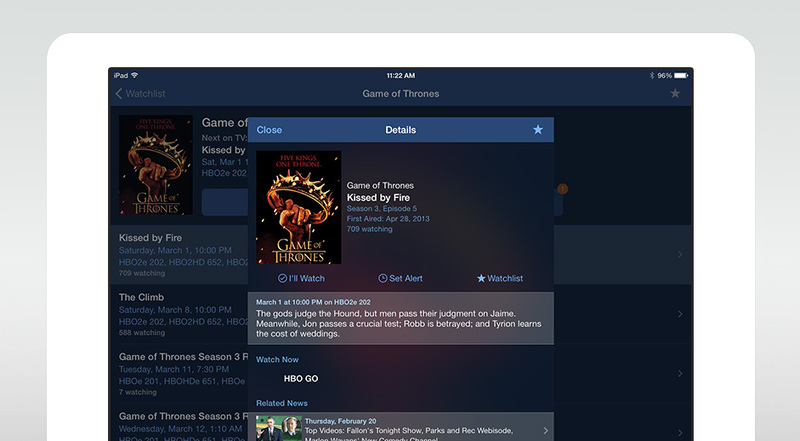 Watchlist is a collection of favorite TV shows, movies and celebrities, featuring information on where and when to watch them on TV, streaming or on DVD. 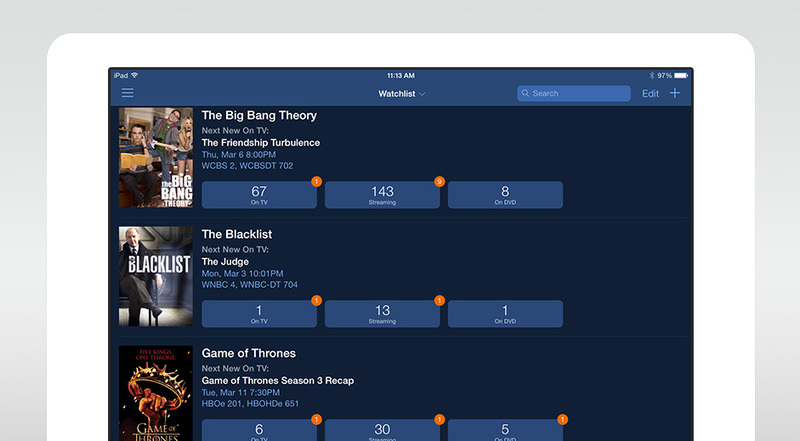 Each entry has a detail panel with links to videos, related news and episode guide; and has an episode panel used to set up alerts based on lead time and frequency.